Meg will also be presenting at the On Pasture symposium at the National Grazing Lands Conference in Reno. Come see us! This year I switched from being a year-round cow-calf operation to being a seasonal heifer developer. I bought a group of 35 open, yearling Red Angus heifers in April, turned bulls in with them in August, and sold them pregnant in November. It went well enough that I plan to do the same thing next year, but I learned quite a few things the expensive and stressful way. One of the biggest issues I had was with temperament. With a cow-calf herd, you keep the same cattle for years. They become calm as they get used to you and your management, and as they age. 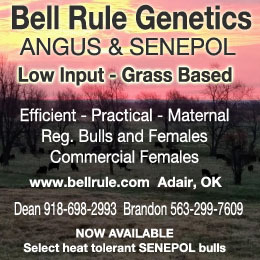 You can select for good disposition and cull cattle that are flighty or mean. Calves raised by calm cows become manageable, quiet adults. Buying a new group of young cattle from another ranch every year takes these advantages away from you. Young stock in general are more nervous than adult cows. Any genetic management of disposition is out of your hands (aside from your choice of where to buy from). Frequency of human contact and quality of stockmanship at all places the cattle were before you get them will affect your experience. There are wide temperament variations between and within breeds. For my first few years, I custom grazed a mixed herd made up of many breeds. All cattle were subjected to the same management. I find the Hereford and South Poll cattle I have worked with to be very docile. My Black Angus were the worst behaved when corralling, sorting and trucking. I raised a bunch of Belted Galloways, of all different colors. The black ones gave me more trouble (pinkeye susceptibility, fly load, refusal to go in the corral or through the chute, and attacking me at calf-tagging time) than the dun, silver and red ones. I am starting to think that the black color trait in cattle of many breeds is linked somehow to sparky behavior. I have found the Red Angus in general to be more agreeable than Black Angus, but I still had a couple heifers and a bull this year that were complete jerks. Angus cattle of both colors are very smart (arguably smarter than I am). If they get away with something one time, they will keep on doing it. You must never let them find out that if they refuse to obey you, you will give up and let them win. There were occasions this year when I was trying to push the herd in a certain direction in the paddock, and they circled around me and ran past me the other way. Once they got by me that first time, they did it every time I tried to push them. How should you handle this situation? Stop trying to make cattle go places they don’t want to go. I’m not saying let the cattle dictate your management. What I’m saying is make them think it’s their idea to go somewhere, instead of letting them realize they are being managed. Any time cattle feel cornered or threatened, they stop thinking about what you want them to do. All they focus on is the threat (you) and how to escape that threat. Cattle are prey animals as opposed to predators. The survival of wild bovines for thousands of years has depended upon their ability to detect and escape from threats. This is an example of Kathy leading cows to new pasture as Meg suggests. Pushing doesn’t work as well because they see no reason to leave their current familiar spot. Pushing also divides the herd’s attention between the new paddock and the “threat”. You want all of their attention on the new paddock. Back when I used to push cattle into new paddocks, there would sometimes be a flighty animal that would split off from the herd and double back. Chasing a lone bovine that is already scared does not accomplish anything. If this is happening, it means you are being too heavy-handed with them. Back off and that animal’s attention will shift back to the herd. If you keep chasing a scared animal that is clearly not responding well to what you are trying to do, it will go through your fence and half of town. Quit while you are ahead! The animal will probably return to the vicinity of the herd when it calms down, and you will be able to catch it. If the same few cattle are consistently overreacting to a level of pressure that the majority respond well to, cull them! Part 2 covers the strategies I use for dealing with attitude problems in my herd. Like Meg, John Marble deals with new animals every year, and like her, he’s found that driving doesn’t work nearly as well for him as getting them to follow. He’s written a two part series on how he gets it done. Just click to read more. this is great…that is all i have to say. oh wait, i look forward to the rest! The last 5 or 10 cattle to be put up the alley were almost always black-hided. Certain cattle vocalize wildly when the head gate closes. Even when these cattle were not black-hided, they frequently had a ghastly-looking black tongue, betraying their heritage. Perhaps because 90% of American cattle are now black (at least in my part of the country) people may have a hard time noticing the differential behavior of breeds. Others will have their feelings hurt by your comments. Well. I just want to let folks know that Meg does use low-stress livestock handling methods when she works with her cattle. What she’s sharing here are some additional techniques that she found worked especially well given that she was working with brand new animals and had to get things going relatively quickly. I appreciate Bud Williams methods and think they work well, and have used them successfully. I also have found that there are lots of ways to skin a cat, and before I even knew Bud Williams’ name I was leading a herd of 130 goats all over the place because that turned out to be the easiest and least stressful for all involved. It’s what they learned and what I learned to do with them, and whenever anyone would try to drive them it turned into a complete rodeo. I think there’s room for all kinds of ways to work your livestock and what you do depends on what you learn and what you’re good at. And that’s why we’re sharing this article series and having a good discussion about it. Well said, Kathy. Different methods work in different situations for different people with different animals. I like reading various approaches to a common problem like getting beasts to go where you want. This discussion has validated my own experience AND given me some new techniques to master and add to my “tool box”. Thanks! Its great to have to opportunity to share different methods and discuss their merits and potential issues. Thank you for offering that opportunity. By the way, I fully recognize that most of the world’s livestock are handled by people who have never heard of Bud Williams or his methods, and they get the job done every day. If my comments somehow suggested that other methods don’t work, my apologies, because that is not what I meant. What I meant to convey is that after 20 years of trying various methods of handling livestock, mainly different types and breeds of cattle, I have found Bud’s methods to be the most reliable way to handle them in a way that is efficient, effective, and enjoyable. 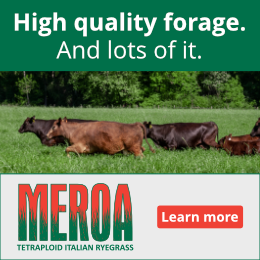 I can call my cattle to move them most days, in my rotational grazing system, and it can work well, most of the time, with minimal effort. But, in some situations calling them doesn’t work and I need to drive my animals effectively to get them where I need them to be. If I drive them for their daily move, instead of calling them, both the livestock and I get more practice, and get better at the process. My stock know what to expect, and trust that process. That makes the difficult moves much easier to execute. Also, it has made my cattle much calmer, and quieter. They see my arrival not as food time, but as time to go for a walk. That seems to settle them down, before they go and eat. The downside to Bud’s methods, is that it is a skill that takes proper training–which is not readily available, it takes practice, feedback, observation and evaluation. It doesn’t come easy, so it may not be for everybody. But, if you want to learn methods that are effective in all situations, it is worth learning. Again, thanks for the work and your writers/experts to do put this information outlet together every week. Herdspeople have different methods when it comes to moving animals but there seem to be some priciples common to all. Well, maybe to all but the “rope-em and rake-em with your spurs” method! Learning to drive (use pressure and release) effectively is more difficult, in the short run, than teaching cattle to follow. It takes skill, and skill takes proper understanding, and practice, feedback, and more practice. However, there are some real advantages to keep building your skills to drive cattle–and by this I mean using Bud William’s methods. When I first started raising cattle almost 20 years ago, I taught my cattle to follow, for the most part. I say for the most part, because cattle, as I learned, will not follow me everywhere I want them to go. They are sometimes too afraid to go certain places such as in the corral, or through a shaded lane in the woods, or across a creek. What then? However, I took it upon myself to learn Bud’s methods of driving cattle, and while I struggled with those methods occasionally, over the years, I have found that with practice I can now confidently drive cattle anywhere, anytime with a minimum amount of stress on me and them. I have used these methods effectively with stockers, cow/calf pairs (my own and others that I have leased or custom raised), dairy heifers, and dairy cows. I have raised many black cattle, Angus, and Galloway, and I can attest to their often being more highstrung. Another reason to drive cattle, instead of calling them, is that calling can often induce a stress/anxiety response, as cattle rush to new pasture. This is particularly bad if you are raising cow/calf pairs, and momma is now torn between going to new grass or staying with her calf. The dam will often run to new pasture, leaving her calf behind, and either the bonds will be broken or she will desperately run back trying to find the calf once she realizes what she is missing. The calf will be stressed by losing track of Momma, and all will be balling loudly. A far better approach, especially with cow/calf pairs, is to drive them. Drive them often, several times a week, before they calve, and they will develop trust that will allow you to tag calves with fewer, if any, issues with the dam coming after you. It’s also important to start them off right, before driving them anywhere. Allow cattle to get up and stretch for a few minutes before driving them. With cow/calf pairs, give them 10 minutes or so to mother up, and then drive them, so they can walk together, which will lower keep stress and noise levels down. If flightly animals double back on you, they are just telling you that they are not yet comfortable with the level of pressure you are putting on them. Follow directly behind them at a distance, to where they won’t run. Eventually, they will want to see what’s behind them, and they will turn back around. Allow them to go back to the herd at this time, and give them 30 seconds or so to relax and realize that the herd is the safe place to be. You may have to do this several times with these animals until they are trained to stay with the herd while driving. With each group of cattle, it takes some time to train them to drive effectively, but that time is worth spending because they will then go anywhere for you. They will also be more calm, and will be less likely to get sick, they will perform better, and most importantly, you will enjoy working your stock better. Lastly, I realize there are not many resources out there to learn proper stockmanship methods and it is an investment in time and money. I encourage you not to give up on it though. Great explanation! I concur completely. I wasted two years trying to make moving new pairs by calling them work. It doesn’t! What you describe is something I call the wave. It is amazing, and allows a person to move day old calves without much fuss. In my humble opinion, getting animals to follow or come when called is something that should be used once they are trained to herd. This means staying as a group, moving away from pressure, and bending in both directions. Bunch quitters must be trained to stay with the herd or they will train others to be bunch quitters. The first two weeks of bringing in cattle can be a lot of work getting them trained, however, after that you actually have control of the herd. This has worked for me with groups as large as 950 heifers. Again, this is only my opinion. I just feel more comfortable having a herd trained to drive because I know I can move them any where I want when I want. Can you please explain how you train your cattle to herd, move away from pressure and bend in both directions? I would like to learn more. The bunch quitters were a huge problem for me this year. Would love to hear about how you train them. Meg, here is how I do it, but please realize it is only one way, not “the way”! First though let me congratulate you on a pretty cool Biz! I like it a lot. cowboyed in Montana during the early 1900’s & they would rope a chronic quitter & rake it with their spurs. As soon as it was released the animal rushed back to the herd. I am giving you this background because when dealing with bunch quitters, I imagine myself as a wolf trying to bring down my prey. Yes it is pretty hoaky, however, it helps me to get big enough & bring enough energy towards the animal that they are on a dead run back to the herd. As soon as the animal is on the edge of the herd stop completely. Stopping at that moment is critical to be successful. I started out doing this on foot with 40 pair in 2000. I was in great shape! Once our custom herds starting getting over 100, I went to horse back because I wasn’t in incredibly awesome shape.lol Now I do most of my work on horseback because I can go through brush, muskeg, & dugouts, places bunch quitters like to hide. Just for experiment purposes, though, I have used a quad with pretty good success. However, they are only truly effective in open pasture, and you have to remember to ride like a wolf. I t has been my experience that if you spend the required time the first two weeks training your animals you will have a great time at the beach or playing poker the rest of the summer! Oh ya, one last thing, this works with sheep, horses, hogs, turkeys, & sort of with chickens. Meg I forgot to mention that I too train the animals I handle to follow. In 2000 I used a ‘come to me’ bell & a ‘follow me’ bell. Things have evolved & now I just use a referee’s whistle. However, I don’t start that until they know how to drive. The method for handling bunch quitters has evolved as well. I started out very similar to what Paul described & I still basically do the same thing except with a lot more energy. I moved to a high energy due to business expansion. Once I had a template for custom grazing on rented land, we expanded rapidly. In a few years we went from custom grazing 80 cow/calf pairs to grazing 3000 yearlings in 4-6 groups. No group was under 400hd & the largest were 950hd. We were able to handle the work load with only myself, my wife, & a summer student. To get there though, I had to figure out how to train the bunch quitters quickly. That’s why I started experimenting with increased energy. The more I use this approach, the more confident I am in its efficacy. By “high energy” does than mean you are essentially chasing them back into the herd, until they get there? By the way, I get the high energy part. It took me years to figure out that stockmanship does not mean low-energy. Also, interesting story, especially that you can keep a mob of various types of animals together. I am intrigued by that idea. Do you feed any grain to your pigs? Or would that challenge to mob mentality? That is exactly what I mean by high energy. The ‘rope & rake’ method is so 1900!lol I feel we have Shanghied Meg’s article a bit, so as for feeding grain to hogs, I will just quickly state, grain supplementation is discontinued after the hogs are about 150lbs. If you want to know more on that subject we should share info on another forum. The method that I learned from Steve Cote, who learned from Bud Williams, is this: follow the bunch quitter/s directly behind them–do so at a slow pace, so as not to give them a sense that they are being chased. Cattle want to know what is behind them, and they will eventually turn. When they do so, they realize that they are away from the herd, and they naturally want to go back. Allow them to go back to herd, which may mean stepping out of the way. Once the animal is back in the herd, allow it to relax for 20-30 seconds so that it realizes the herd is the safest place to be. You may have to repeat this several times, at first, with some animals. The best bet is to train the animals the day they arrive, or soon after. You can do this in a large corral or in a small paddock — or large paddock if you really want exercise. Pressure the cattle to start driving them, if some quit the bunch allow them to back to the bunch, and give them a little time to absorb the lesson that the herd is the place to be. Rinse and repeat. Do this until they stay with the herd when you drive them. They should stay with the herd, in general, when you drive them. That said, there will still be days when for whatever reason, there will still be an issue, maybe you pressured them too hard, or they are just more sensitive that day–have you ever noticed that cattle seem to be more high strung when its windy? Mine seem to be, anyway. If that happens, just repeat the steps above. While I try to create a herd that moves in sync, as a herd, I am mindful, when I am driving them, that there are individual differences amongst the cattle. i know that there are slowpokes on the end, that need more pressure, and the more sensitive cattle are typically up front, and need less pressure. I try to adjust accordingly. By the way, if you attended one of Hand & Hand’s marketing or stockmanship schools, they do have free monthly conference calls to address questions, or issues. 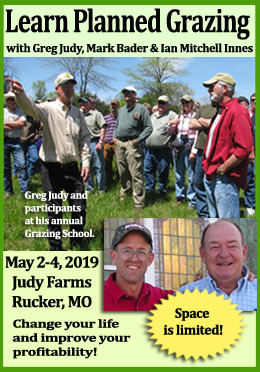 They also do a free Bud Summit once a year for folks who have either attended their schools or purchased the 18 hour stockmanship video from Stockmanship.com. Those extra learning opportunities have really helped me out, because you never learn it all in a 2 day school. I just want to confirm that the techniques Meg Grezskiewicz and John Marble describe for teaching cattle to come to a call and follow work for sheep too. I am able to handle my flock on my own without human or canine help using the techniques they described.